A weekend with a granddaughter can be so much fun. Especially when she is a "crafty kind of girl." One of the projects we threw ourselves into was cupcake making! 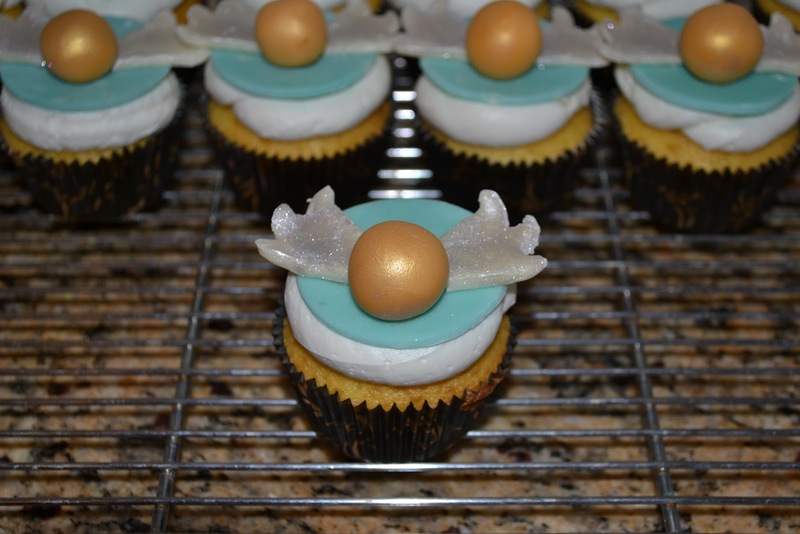 And since she is a huge Harry Potter fan, she choose to make her version of some Golden Snitch cupcakes she had found on the net. This required fonderific fondant that we dyed golden yellow and aqua blue. Lots of silver lusterdust was used as was Wilton golden spray. The cupcakes were simple yellow cake with white butter cream frosting and black raspberry filling. Awesome (my granddaughter's most used word, followed closely by "the best"). 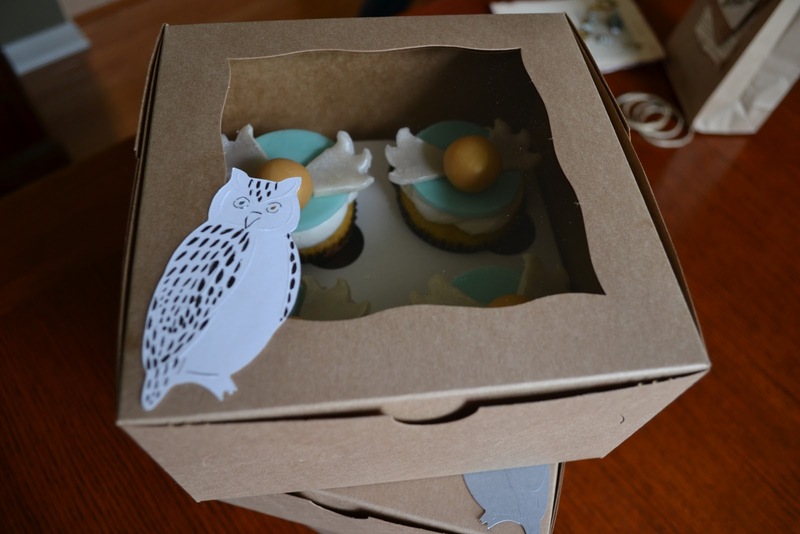 Boxed up, these special cupcakes are headed for her Knitting Club at school. Yup, I said Knitting Club. I told you she was crafty. SO cute! 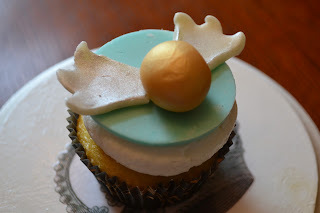 I love Harry Potter, and these cupcakes are just adorable. 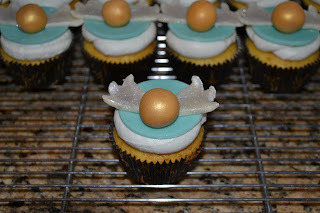 I would love for you to share these cupcakes on my Sweet Tooth Tuesdays blog link party.